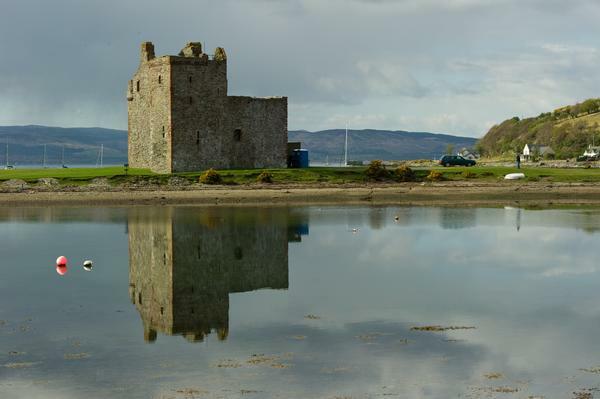 Lochranza Castle is the ruined remains of a tower house, built on the north of the Isle of Arran off the west coast of Scotland. It is in a stunning location on a spit of land jutting out into Loch Ranza. It is an integral part of the village of the same name. 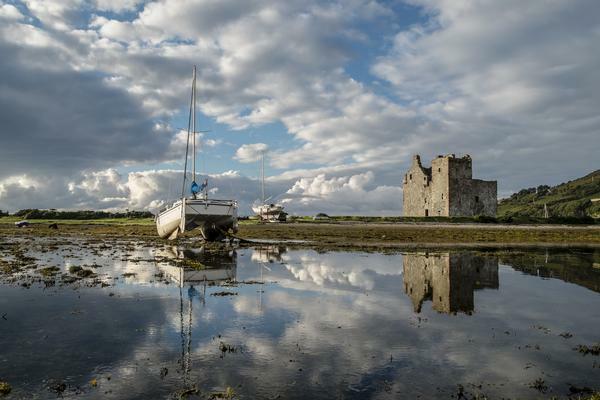 The ruined remains mostly date back to the 16th century although the original castle was built by the MacSweens in the 13th century. It would have been a hallhouse design with storage on the ground floor and a hall and bed chambers above. Access was by a wooden fore-stair which would have been lifted during attacks. The castle quickly changed hands in its early years. In 1262 King Alexander III granted the castle and estate to his supporter, the Earl of Menteith, to strengthen his control over this part of his kingdom. 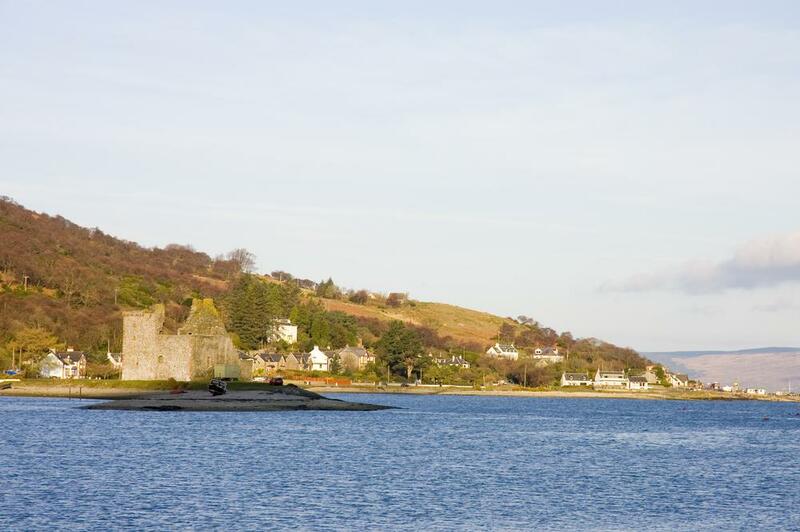 In 1306 Robert the Bruce was said to have landed at Lochranza when he returned from Ireland to make his claim for the Scottish throne. By 1371 Lochranza Castle was owned by Robert II who used it as a royal hunting lodge. James IV used the castle as his base in the campaign against the Lord of the Isles. It was later used by James VI in the early 17th century and by Oliver Cromwell in the 1650s, so it has quite a royal pedigree. Over the years the castle was changed from a two storey hallhouse into a tower house, the remains of which can be seen today. The tower house was built in an L-shape with a small entrance facing west. It had a tower at one end, originally five storeys high. At the south end of the main block there was a large room on each of the three storeys. This was also where the Great Hall would have been with the kitchen on the first floor. The north end had four floors with a series of smaller rooms. 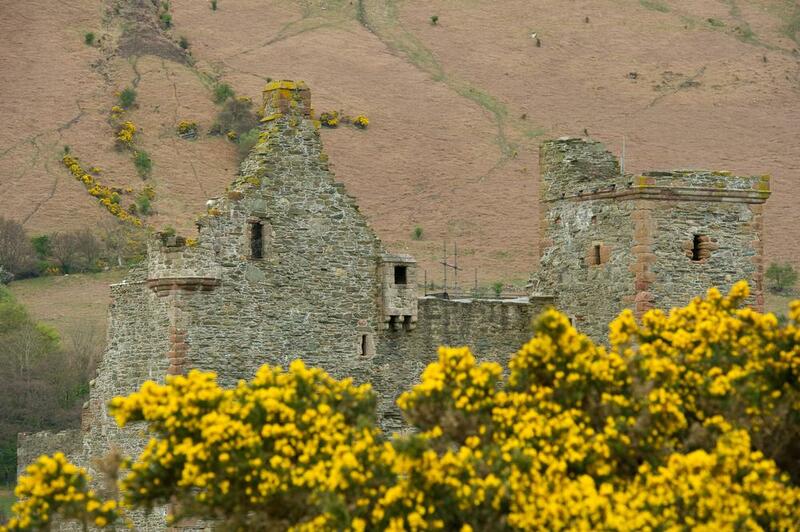 The last owners to live at Lochranza were the Hamilton family who purchased it in 1705. Later that century it fell into disrepair and was finally abandoned. Lochranza is now in the hands of Historic Scotland and they continue to provide consolidation work to maintain the castle. 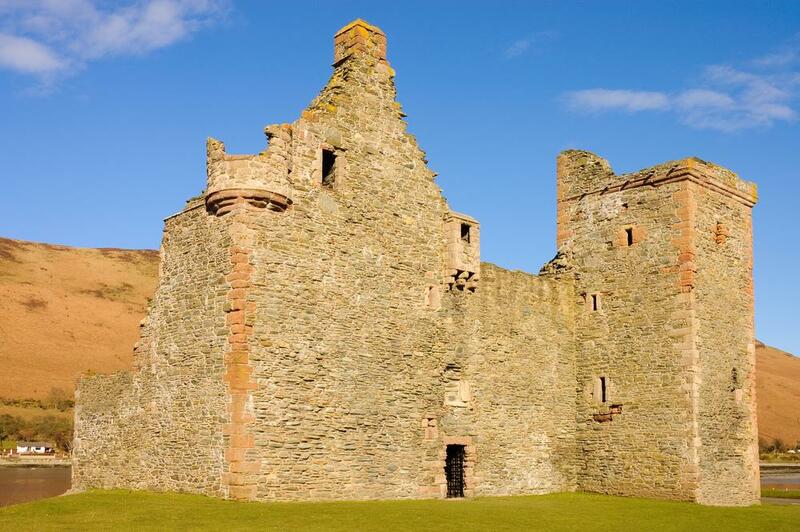 Visitors can freely explore the castle which still has many rooms, open doorways and staircases. Remains of the ground floor vaulting and the north end castle with its round tower can still be seen. Views from the top are well worth the climb. Down on the shingle beach, seals can often be seen basking on the rocks. The nearby village of Lochranza is said to be one of the prettiest on the Isle of Arran. Ferries run from the slipway to Claonaig on the Kintyre peninsula. 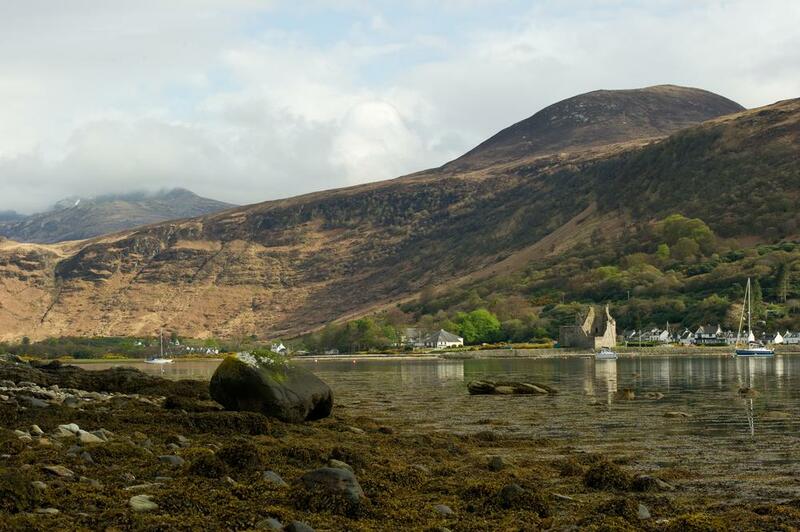 In the village there is a Field Study Centre and the Isle of Arran Distillery. You may recognize this distinctive building as it was used in the Tintin book The Black Island as the model for the castle. At the northern coast of Arran off the A841.